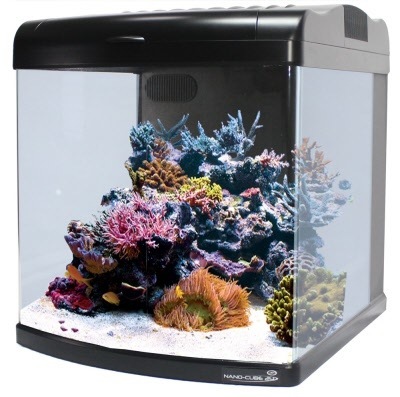 This self-contained fish, reef, and planted tank offers the easiest solution for hobbyists that demand high-tech performance in a miniature environment. 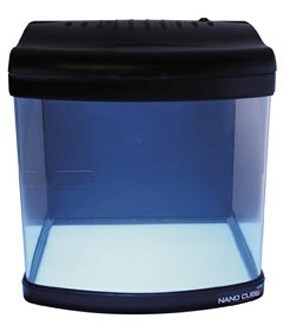 The Nanocube is a great tank that offers a panoramic view with smooth rounded glass corners, the necessary filtration, lighting, and circulation for a thriving mini-biotope. For those who need more light for plants and corals the 12 gallon JBJ DX Deluxe is the way to go.